If you feel like your career is at a standstill, dialysis travel nursing may be the solution. Dialysis nurses are uprooting to take advantage of the flexibility, quality of life and variety of experiences a traveling job offers. 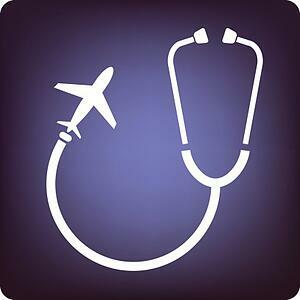 But before you buy a plane ticket, you should do your homework on what being a traveling nurse will involve as well as its benefits and drawbacks. Employing traveling nurses is an increasingly popular option for maternity coverage, medical leave and staffing shortages. Your staffing firm will be a co-employer with your temporary assignment. The typical contract length is 13 weeks, and scheduled at least two months in advance. While each contract is different depending on the region, need and specialty, rates for traveling dialysis nurses are typically competitive with more permanent positions. Also take into account stipends for housing, travel and meals when breaking down the actual hourly rate. Perhaps the biggest draw of traveling is that you decide your own schedule, what assignments you take and where you relocate. As a travel nurse, you can take time off in between assignments and travel to Europe for two months. Or you can adjust locations because of personal needs as registered nurse Leslie Palstring did when a family member became ill.
As a traveling dialysis nurse, you can work in a variety of settings — even on a cruise ship! Some nurses have worked in more rural or remote areas like American Indian reservations. Other travelers have gained professional experience in large-scale teaching facilities and renowned research centers. It all depends on your preference. Being a local dialysis nurse means you can really get to know your patients. Taking your practice on the road means you only have a short period of time with them. And going from contract to contract can be exhausting, especially if you’re not sure you have something lined up next. Blacklisting, often referred to as a DNS (Do Not Send), can be a career-ending event for traveling nurses. This issue arises when a hospital or dialysis care center needs to end a contract early, but can’t unless there is an egregious professional circumstance. Managers often will file bogus complaints against the travel nurse in efforts to avoid paying an early cancellation fine. This is common, unfortunately, and makes picking a recruiter who will advocate on your behalf a priority for your career. A significant downside of traveling is the lack of connection with a regular team of nurses and doctors. You’ll have to learn how to establish new relationships quickly and only for a short period of time. Additionally, if you have family, you may be away from them for longer than you’d like...unless you bring them with you. If the pros and cons sound manageable or even exciting, then a traveling career may be for you. Whether you want to visit news places or have control over your schedule, life as a dialysis travel nurse will let you jet off to a new adventure.